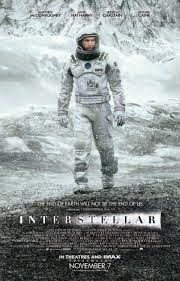 Last entry we looked at the book by respected physicist Kip Thorne, explaining the scientific interpretation of the movie Interstellar. One of the ideas Professor Thorne puts forth is that an entity "outside" of our observed 4D space-time could use gravity to cause seemingly unexplainable actions - like a book mysteriously falling from its shelf - to occur, since gravity is the only force which exerts itself across the extra dimensions. With that in mind, let me tell you a story. This Christmas our family had an unusual set of occurrences that started the night of December 20th, 2014. On top of the stereo stand in our living room we have an old mantle clock which once belonged to my wife's grandparents. This clock worked faithfully for us for many years, but then at least ten years ago it stopped. Still, we've left it where it was because we like the look of it. That night we were having a big family supper in the living room when out of nowhere the clock started chiming the hour! We went over to look and sure enough it had started ticking. It went for almost an hour, then stopped. As a bit of background, we've lived in this house for thirty years. The previous owners converted the double garage to become the living room we were in. Because this room used to be the garage, its floor sits on a concrete pad and is very solid feeling - there is no visible springiness or give to this floor. If there were to be vibrations somehow transmitted to this broken clock that were strong enough to push the pendulum back and forth, one would think that all of the action movies we've watched through a sound system which includes a hefty subwoofer only a few feet away from the clock would have had ample opportunity to activate it, but that has never happened, and there was no activity in the room that night that was any different from many many previous family get-togethers in that same space. The following night a group of us were just sitting in the room having a chat when the clock started up again, bonged nine times on the hour and again on the half, then stopped once again. But that night my wife had trouble sleeping, was up and down through the night and heard the clock bonging the hours a number of times through the night. When she told me this the next morning I went and looked, and the clock had once again stopped. The night of the 22nd I decided I'd tell this story to my friends on Facebook, so I went and stood in front of the clock to take the picture you're seeing here. As soon as I took it the clock once again started ticking. As I walked out of the room to tell my wife the clock bonged once, and once again it continued to run for a few hours that evening. The night of the 23rd, we were again chatting in the room when the clock started up for what proved to be its final performance. On Christmas Eve we had another big family supper and gift opening with our grand-daughters in that room, and this time there was not a peep from the clock, nor has there been any further mysterious activity from it since. It looks like our spooky clock story has come to its conclusion! Thinking about Professor Thorne's idea of pushing on the "world tube" of a space-time object from the fifth dimension, doesn't a clock's pendulum sound like it would be substantially easier than a book to influence with gravitational force from an extra dimension? I can imagine pendulum clocks all over the world starting and stopping at unexplained times, using this particular effect. There's so many different kinds of spin we can put on this story. Is there a non-spiritual explanation? No doubt one can be surmised. For me, I'm no expert on pendulum clocks, but my experience with them is they don't start by themselves: you have to give the pendulum a push to get it going. So I have to ask: were we visited by some long-lost family member, happy to see the whole family together? My wife's cousin, a good friend of hers since they were children, spent the Christmas holidays with us for the first time ever. Our sons, their wives, and our granddaughters were all here in town for the big suppers on the 20th and again on the 24th. Who might have been responsible? Perhaps I'll learn the answer when I die. One friend even suggested I should be extra careful in 2015, because perhaps it was my future self come back to warn me about the possibility of an upcoming fatal accident? Wouldn't that make an interesting movie! 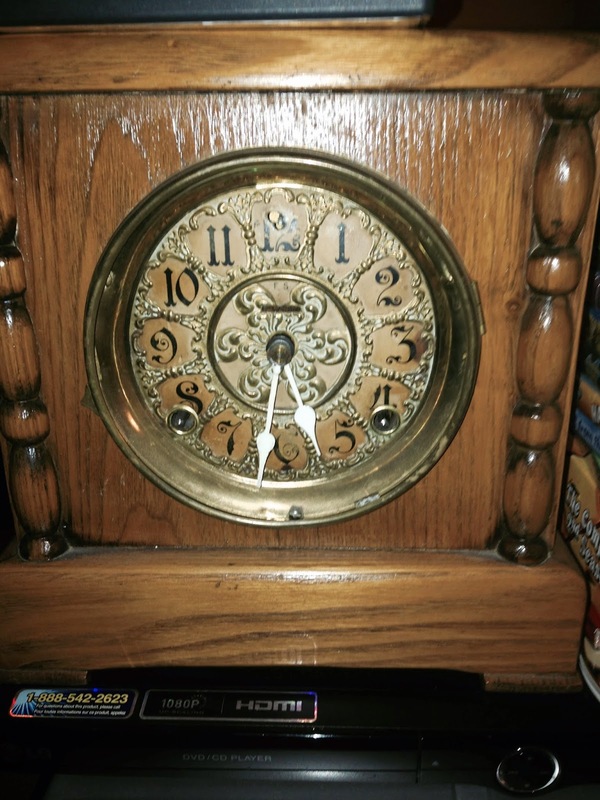 Update: Readers of my facebook feed will know that the clock did start up for a few hours the following year, on Dec 22nd 2015, and once again it was my wife's cousin staying with us. The following year he did not stay with us, and for Christmas 2016 there was not a peep from a clock. But on December 24th, 2017, it once again started up by itself while my son Mark and his wife Lana were staying with us: this year it ran for about a half hour, chimed once, and went silent once again. Mysterious! well.. the question is.. was the weight attached? and what was the barometric pressure difference from the day before..
As pendulum clocks are driven by the weights, it makes some sense that it simply stopped due to friction (as I assume you hadn't had it cleaned). But whatever the case, long ago it stopped, and then metal parts inside that were designed to move heated and cooled and heated and cooled until one day things got moving. but of course, whatever stopped it originally probably killed it again. I have a feeling if you wound it back up that you might see a repeat performance in a few years. Maybe God send you a sign so that you can see the obvious answer of some question you had:Is there life(other dimensions)after death? Interstellar - What's Beyond the Fifth Dimension?